I don't like weddings. 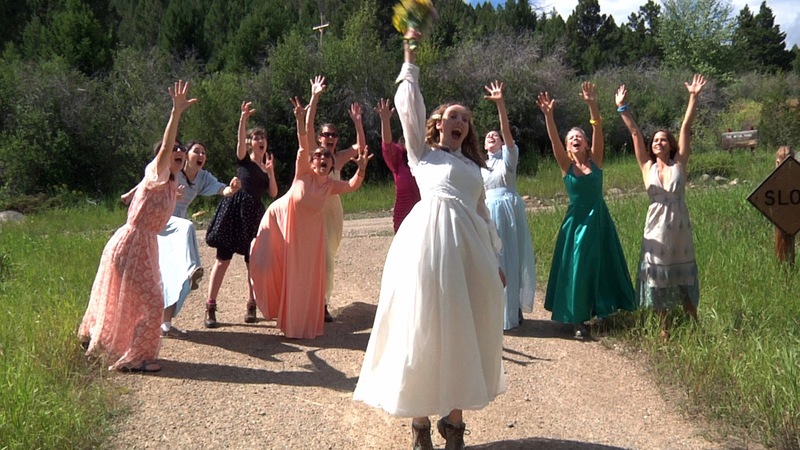 Despite my love of romance movies and anything involving a costume with corsets, I oddly don't care for the spectacle of a wedding. Maybe it's that I find watching two people profess their undying love for each other sort of boring and cheesy, or maybe I just don't like having to sit at a table all night with a bunch of people I don't know, hoping at least one is semi-normal. I did go through the spectacle myself, and if I could go back in time, I would elope. Despite my cold, blackened heart, I actually quite enjoyed this documentary. I've always had a problem with movies ending on the couple finally getting together, leaving us to assume they live happily every after. I've always wanted to see a movie that showed what happened after the wedding. (Which is probably why This is 40 is the only Judd Apatow movie I've found palatable.) The fact that this movie showcased real couples, talking about their marriage, only sweetened the deal. If I had watched this movie earlier in life, or before I had kids, I'm not sure I would have been quite so interested in it. I do think that being married for a number of years and having kids gives you a much better perspective on relationships as a whole. Or maybe just being older and more mature does that to you too. Either way, I think this is a documentary for those who have already experienced some of the trials of marriage/long-term partnership and not for those about to embark on the journey. So of all the couples interviewed, I cared the least about the couple who was not yet married (though I didn't much care for the first couple that only talked over each other either). I get the reasoning behind it--that they provide the perspective of a couple not yet married, and that it offered a contrast to those who had been together for years--but I just really didn't care about them. And I really wish the documentary hadn't ended on their wedding. I guess after all the doom and gloom from the married couples, the director wanted to end on an optimistic note? 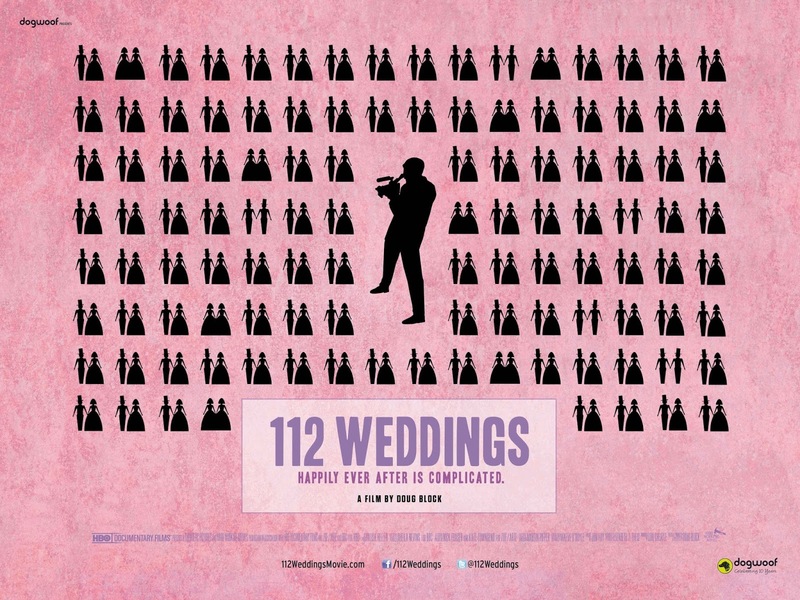 I do wonder that out of the 112 weddings the director filmed how many of the couples he was actually able to track down. I assume he chose to profile the 8 he did because they showed a range of experiences and length of marriage, but some of them seemed a little reluctant to talk and therefore didn't add much to the discussion for me. If those were truly the best 8 he could find, then ok, but I definitely thought maybe he could have searched harder for some more couples who had more to say than "marriage is hard." Pretty sure anyone who would choose to watch this documentary in the first place already knows that. And obviously, feeling as I do about weddings, I could have done with less footage of the original weddings, even though it is a very artful contrast to use those videos as a backdrop to the couples talking in present day. 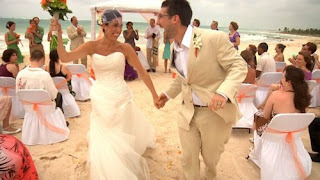 And fun to guess how long they had been married from looking at the footage and the style of whatever dress was chosen. Oh, the 90's! 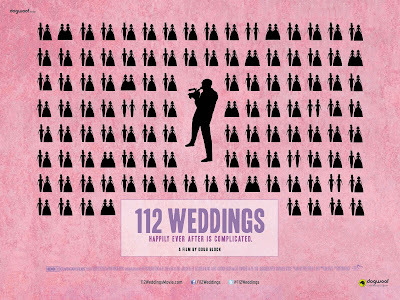 Final word: Might cast too much of a pall for the newly or not-yet married, but is otherwise a thoughtful documentary.